What do you think of when you think of Italian wine? Many people think first of Italy — the place, the art, the people, the culture and the food (OK, especially the food). The romantic idea of Italy sells Italian wine. Brand Italy is stronger, it is said, than any Italian wine brand and Italian winemakers have profited from this fact. 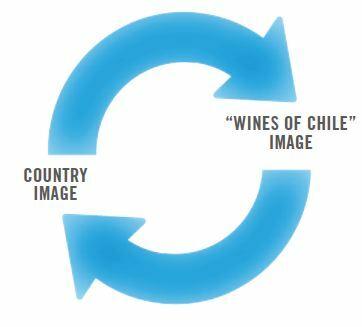 The relationship between country and wine image is reversed for Chile, or at least that’s the theory I found in a recent report called the Wines of Chile Strategic Plan 2020. 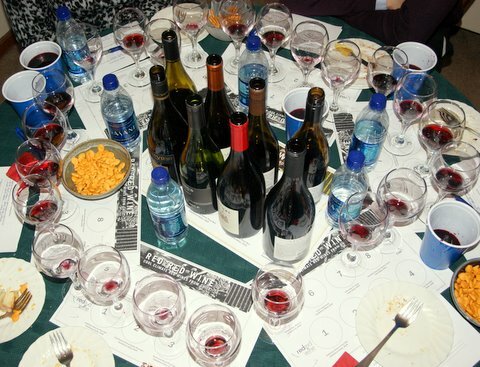 The wines of Chile are the nation’s ambassadors to the rest of the world, the report asserts. The wines of Chile have a more distinct image than Chile itself (although of course the two are related) and so when people think of Chile they think first of its wines. I am not sure that I completely agree with this idea — “Chile” conjures up many images and associations for me — but I am willing to consider it for the sake of argument. Certainly how we think about the wines of Chile has some impact on our attitudes towards this country more generally. Chile’s wine identity, as important as it is to people in the wine industry, may have an even broader significance in terms of international investment, export sales, tourism and so forth. So what is Chile’s wine identity? Well, for most of the last 50 years Chilean wine has been synonymous with “good value for the money.” As I wrote in a previous post, Chile has been trapped in a vicious cycle of rising expectations that has made it difficult for them to increase price even as the quality of their wines has continued to improve. Is this a bad thing? Yes, I know that it is better to be known for good value than for bad value, but in today’s very competitive global market it is also good to have products that consumers are willing to pay a bit more for. The average FOB export price of Chilean wine hovers around USD 2 per liter or less than USD 20 per case. The appreciation of the Chilean peso in 2010 combined with the difficulty of raising the USD price has really put the squeeze on Chilean wine producers. Chile is the most trade dependent of the top wine producing countries, according to the Wines of Chile report, exporting nearly 70 percent of their production. Wine accounts for over 2.5% of Chile’s total export earnings. So enhancing the image of Chilean wine abroad by moving it upmarket is important. There are several ways to define a country’s wine identity and this video illustrates the current theme, Wines of Chile: The Natural Choice. As you can see the theme connects the dots of factors contributing to Chile’s complex terroir and stresses the fact that that its phylloxera-free vines grow on their own rootstocks — a nice “natural” connection. But broad messages like this have their limitations since by definition they cannot thoroughly take into account detailed factors that may be important to understanding and promoting the wine. The New Zealand wine tagline is “Pure Discovery,” for example, and here in Washington the motto is “The Perfect Climate for Wine.” None of these tag lines is especially stirring or sharply defining, although the key words — Natural, Pure, Perfect — have obvious appeal. Is Carmenere the New Malbec? Another way to think about wine identity is in terms of grape varieties, although this has limitations, too. If you think Burgundy you think Pinot Noir and Chardonnay, for example. And Napa Valley is Cabernet Sauvignon. There is much more to the wine from these regions than type of grape, of course, but the iconic varieties are straightforward identifiers that confused New World consumers can easily understand. Wine in Chile is really about three varieties: Cabernet Sauvignon, Sauvignon Blanc and Carmenere. Cab Sauv and Sauv Blanc together account for more than two-thirds of all wine grape plantings in Chile. These wines can be very good, but it must be said that they are cursed with that “good value” label that will be hard to shake no matter how many Wine Spectator Top 100 awards they receive. Carmenere represents only 7 percent of vineyard plantings now, but it is seen by many as the breakthrough wine of the future, a uniquely Chilean wine that has the potential to do for Chile what Malbec has done for Argentina. The Wines of Chile report has high hopes for Carmenere both as an export product and as a tool to redefine Chile’s wine identity. But it warns against cutting corners to capture low price sales. Carmenere needs to be a premium brand if it is to serve its useful symbolic function. Which brings us to Syrah and Pinot Noir — not grape varieties that you usually associate with Chile. 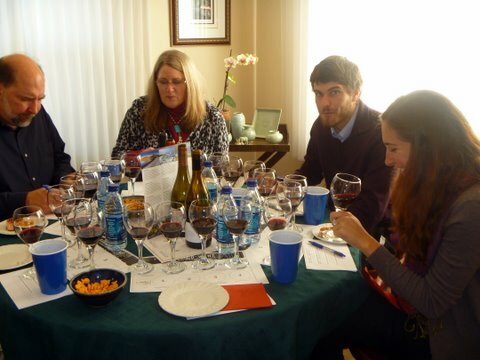 They were the focus of a recent tasting organized by Wines of Chile that brought together, if that is the right phrase, a virtual group of U.S. wine bloggers including members of The Wine Economist staff. The idea was to use new media to get out the message about Chilean wine’s new directions and to help establish its wine identity among younger tech-savvy consumers. 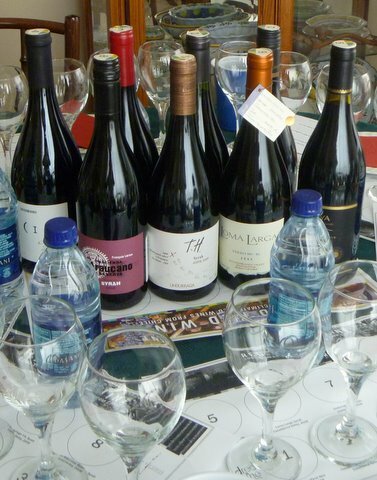 We were sent wines to sample, literature to read and provided with online access to Chilean winemakers for interactive Q&A. Are wines like these the way forward for Chile? Syrah and Pinot Noir are high value bottled wine exports (FOB prices of $4.66 and $4.08 per liter respectively in 2009 compared with $3.37 for Cab Sauv and $2.79 for Sauv Blanc) and so they may be useful tools in this task of getting consumers to rethink the wines of Chile and what they might be willing to pay for them. I asked the winemakers to comment on the potential for these wines on the international markets. How can Chilean Pinot Noir differentiate itself from New World Pinots from Oregon and New Zealand? And how can Chilean Syrah succeed in the U.S., where Syrah sales are slumping? Their responses were not very enlightening, but I blame the online environment for that, with the group of winemakers in a boardroom in Chile trying to answer questions submitted from thousands of miles away by faceless bloggers. Anyone who has been on a conference call knows the problem. But, like conference calls, this internet session facilitated a great deal of interaction even if it wasn’t completely satisfying and so the pluses outweigh the minuses. I’ll just need to follow up, that’s all. Tasting Notes? From the Wine Economist? No one comes to The Wine Economist to read tasting notes, but I thought you might be interested in the team’s reactions to the wines. On the whole we liked the Pinots a bit better than the Syrahs — we just found more complexity in the glass and more to talk about. That said, I noticed that when everyone was given the opportunity to take home a partial bottle, it was the Syrahs that disappeared. Interesting. The Syrahs were better with food, which in our case included tasty empanadas purchased from Pampeana Empanadas here in Tacoma and bruschetta with Fontina and Huerto Azul Myrtleberry Chutney with Merken, a Chilean product that was provided by Wines of Chile along with the wines and is available from puro-gourmet.com. I was especially interested in how college students Jeni and Kevin reacted to the tasting since young consumers are a key wine marketing target and new media initiatives like this are often organized with them in mind. Jeni said that she had never purchased a bottle of wine from Chile — her image of Chilean wine was pretty much a blank canvas — but that the tasting put Chile on the wine map for her and she was more likely to try these wines in the future. Jeni’s image of Chilean wine changed from invisible to positive — a good sign. Overall I would say it was a successful tasting that answered some questions and raised many more. The question of the future of Chile’s wine identity remains to be answered, however, so I’ll come back to it in an upcoming post. Thanks to Wines of Chile for inviting us to participate in the blogger tasting and to Amber Gallaty of the thomas collective for making the arrangements. Special thanks to Sue Veseth, Janice Brevik, Scott Hogman, Jeni Oppenheimer and Kevin Chambers for their insights on the wines and the virtual tasting process. The photos are by Sue and Scott. This was just brilliant! The insights were exceptional and the blogging tasting creative. Other exporting nations would be well served to follow your example. Bravo, Mike. I’ll be interested in what you think about the Three Thieve’s Pinot from Chile that was featured on their tv show. Based on how good their Malbec turned out I’m expecting the Pinot to be a knock out.